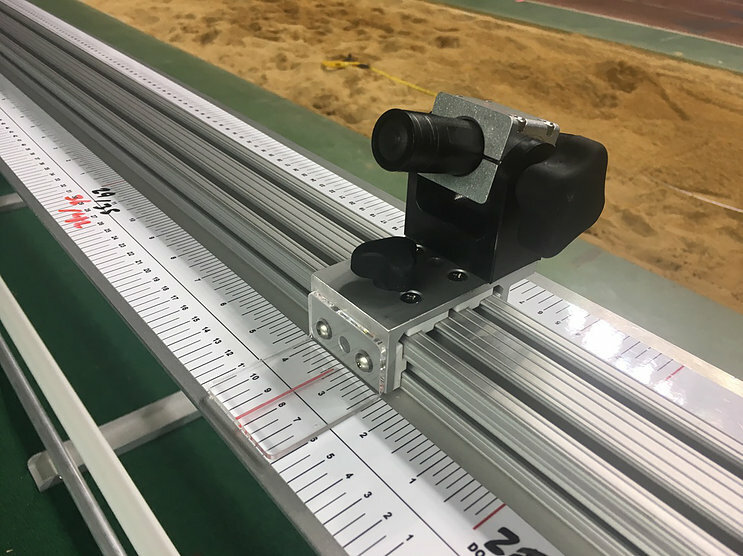 The Jump Machine 800 is 8 feet long and specifically designed to measure the long jump and triple jump at track meets and track practice. 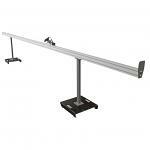 At over 8 feet in length it accommodates all jumps and all skill levels. 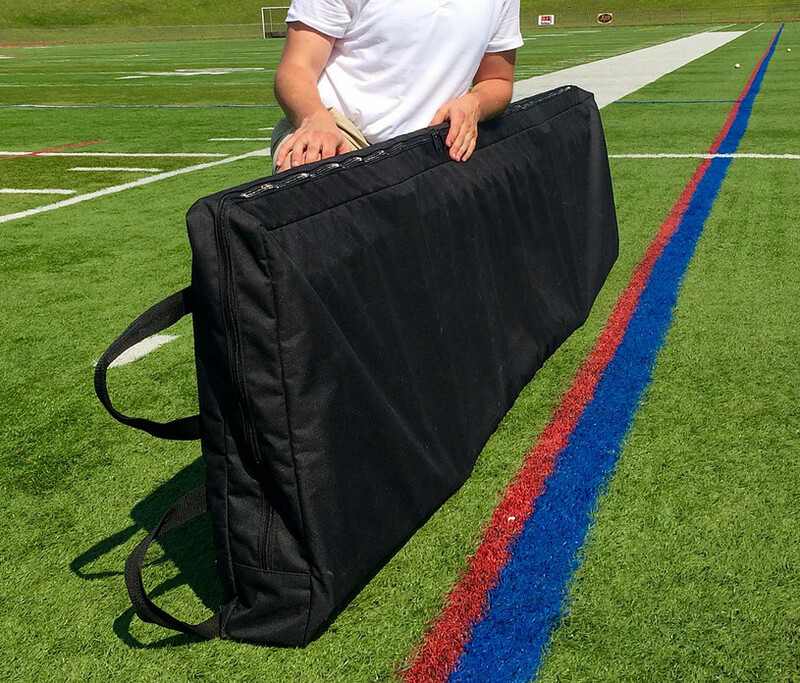 Perfect for high schools, colleges, and major invitationals. 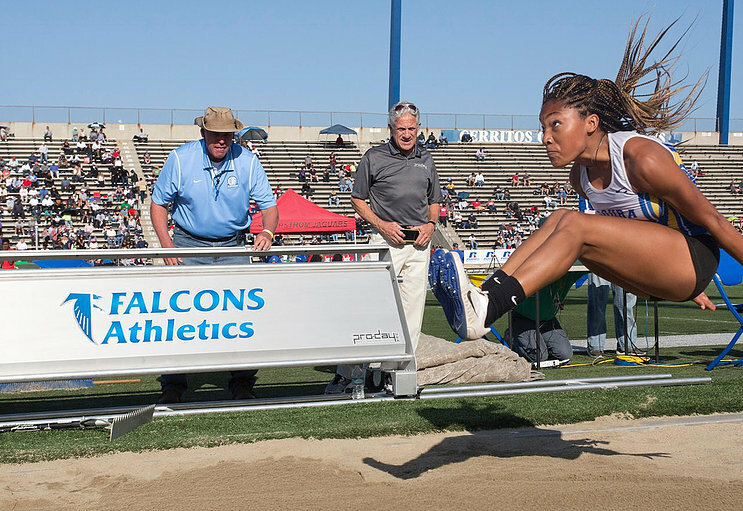 Measures jumps in under 7 seconds. Pays for itself in front panel advertising. Ground Track included. 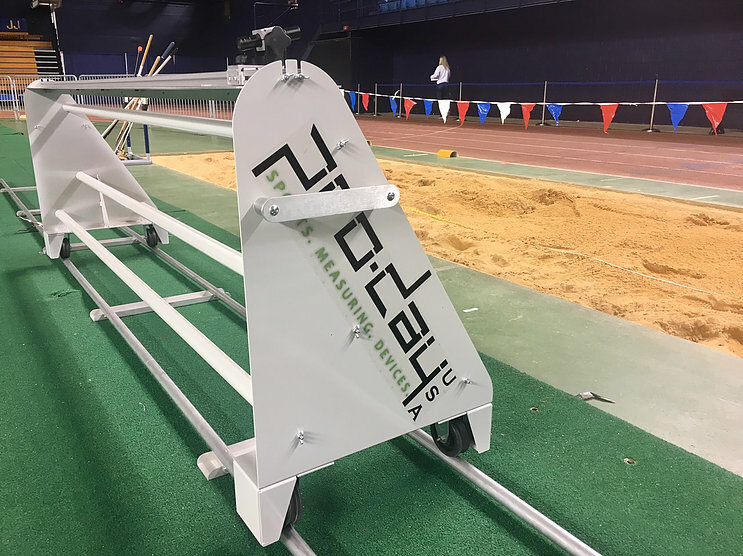 The Ground Track allows the Jump Machine 800 to easily slide to any location along the pit to quickly capture long and triple jump measurements for any athlete group, regardless of skill level. A “Position Key” on the Jump Machine’s side panels gives the exact landing zone location for the jumps, gender and skill level. 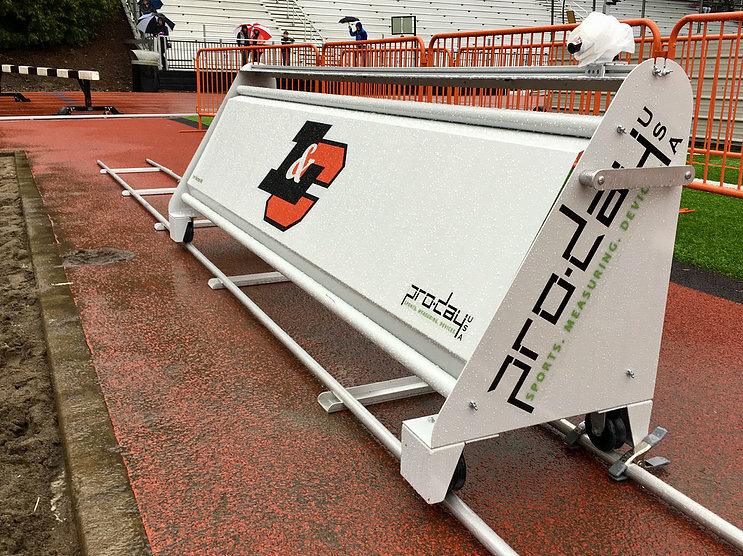 The Ground Track also makes measuring triple jumps that alternate between the two take-off boards quicker (under 12 seconds) and easier. 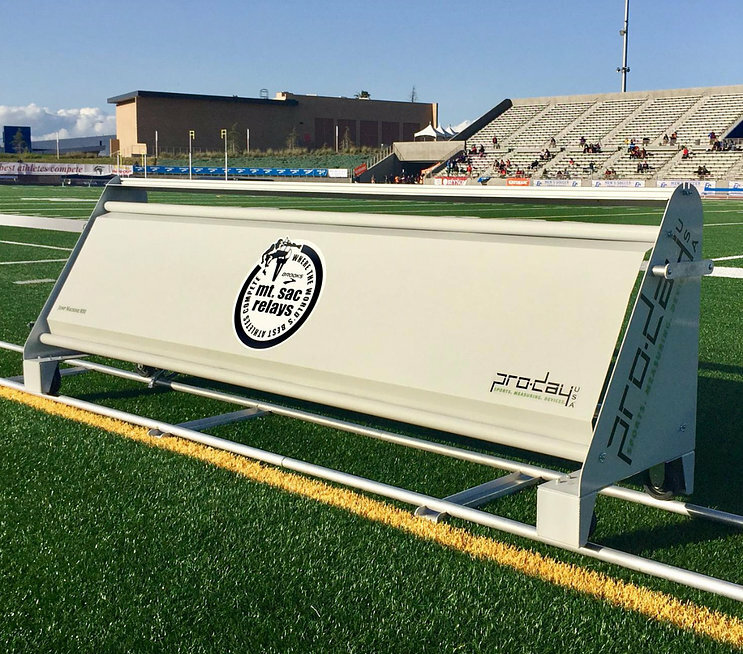 The Jump Machine 101 is 8 feet long and specifically designed to measure the long jump and triple jump at track meets and track practice. 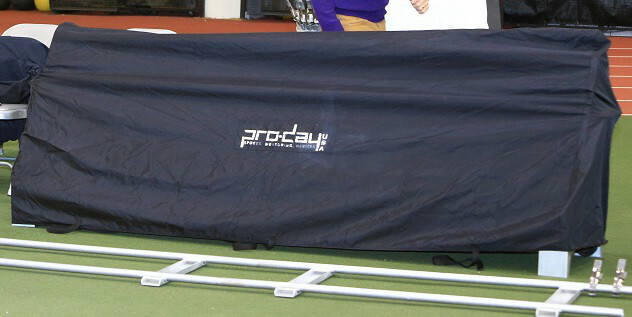 At over 8 feet in length it accommodates all jumps and all skill levels. 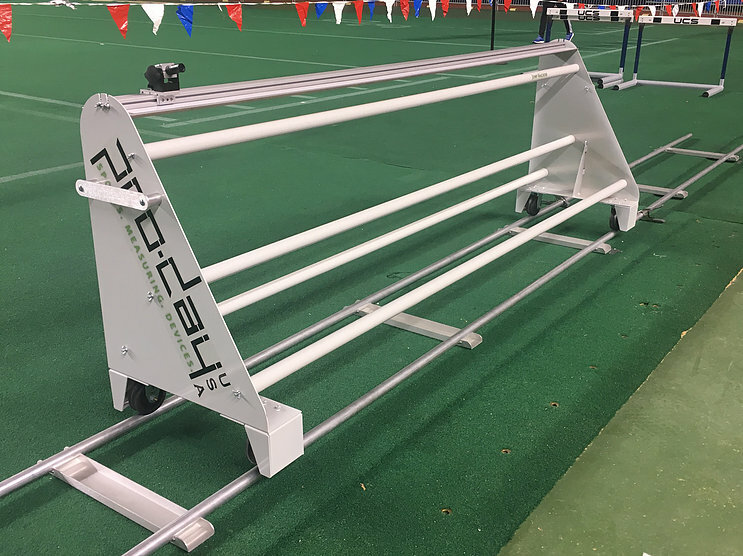 Specially designed to be consumer friendly by offering the same base functions as the Jump Machine 800, at a lower price. Ground Track included.